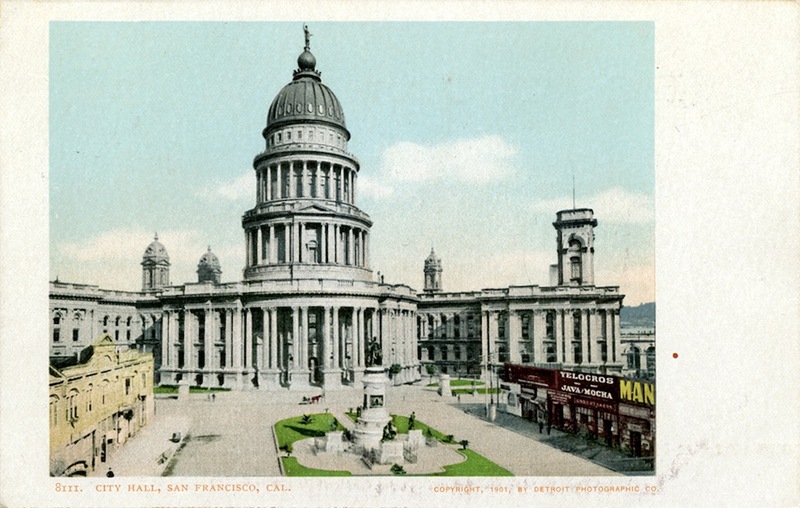 The first grand city hall of San Francisco was planned as a complex of buildings that would rise on a triangular park. Construction was slated to last for three years; the project took about 25 years, with seven chief architects over that time span. 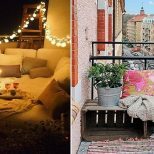 The floors allegedly didn’t align, the chimneys didn’t draw, the sewage backed up and when the whole development was destroyed in 1906, people discovered just how poor the construction was (many of the walls were full of sand). The message reads, “Arrived Marysville this morning. Expect to leave here tomorrow. 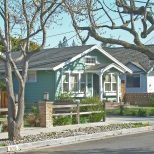 Love as ever, Pa Pa.” The county seat of Yuba County, Marysville as a community dates back to the Gold Rush era and is located about 125 miles from San Francisco. 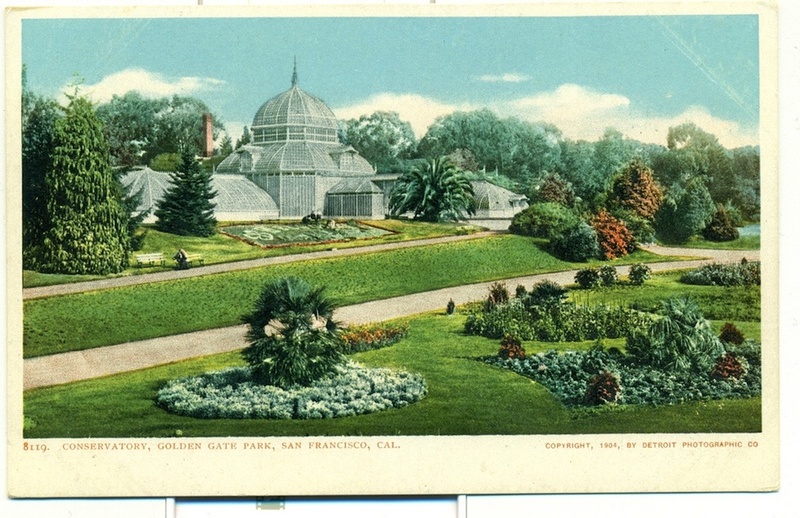 The Conservatory of Flowers is a greenhouse and botanical garden that houses exotic plants. 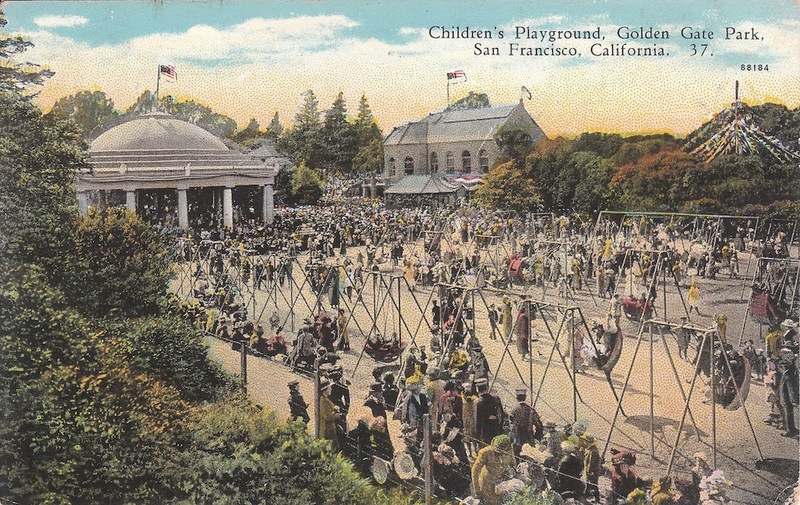 It was completed in 1878, making it the oldest building in Golden Gate Park. The aftermath of the great San Francisco earthquake of 1906. 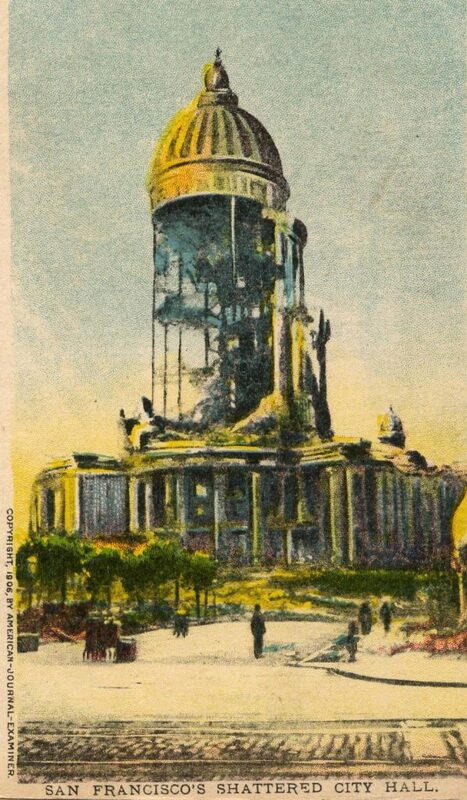 The image of the “shattered” city hall — the dome 300 feet high, barely held up by the remains of the building — became a famous symbol of the city’s biggest natural disaster. As the largest municipal building west of Chicago, the structure took about 25 years to build and was open for less than a decade before the quake destroyed it. 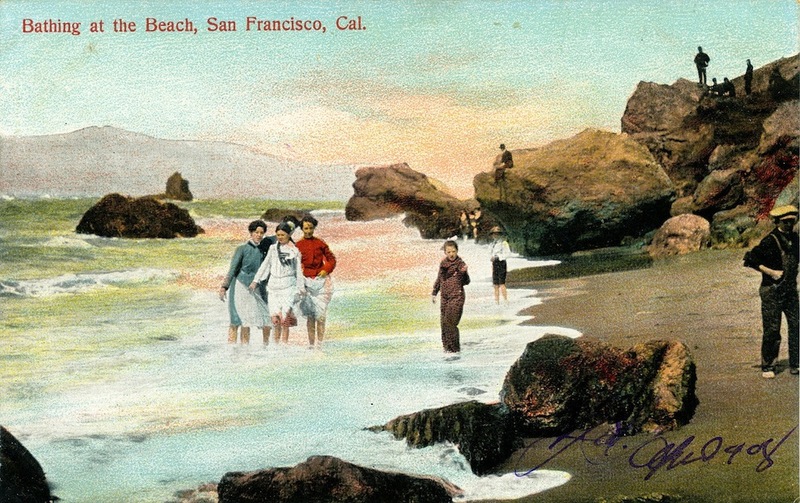 This was part of a batch of 70 postcards collected by John W. Millaway, 1st Sargent, United States Marine Corps, in preparation of the world circumnavigation by the Great White Fleet in 1907 to 1909. 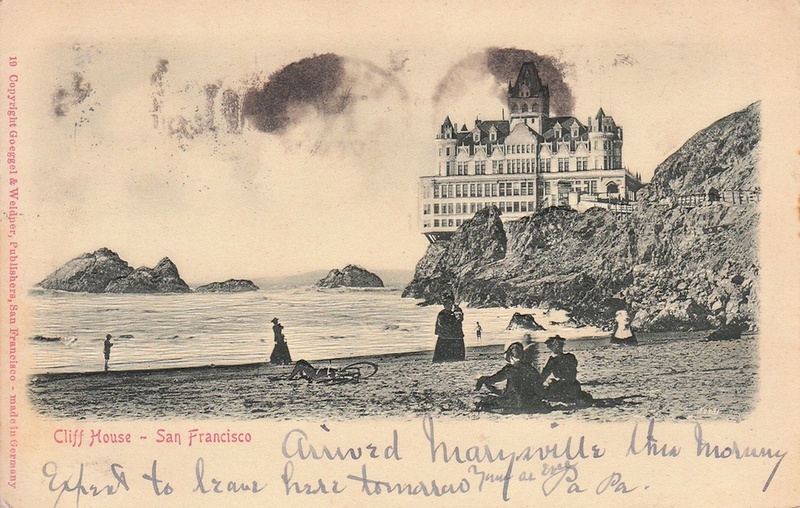 He visited many of the ports on the Fleet’s trip, addressing each card to his girlfriend, “Miss Miriam Purnell.” Only one of the postcards was actually mailed. Those vintage swings were major. 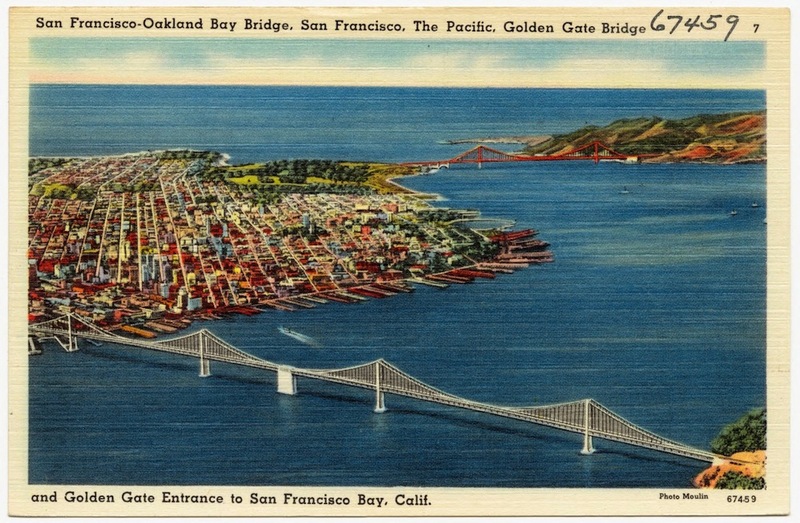 The Bay Bridge started construction in 1933 and opened on November 12, 1936, six months before the Golden Gate Bridge. 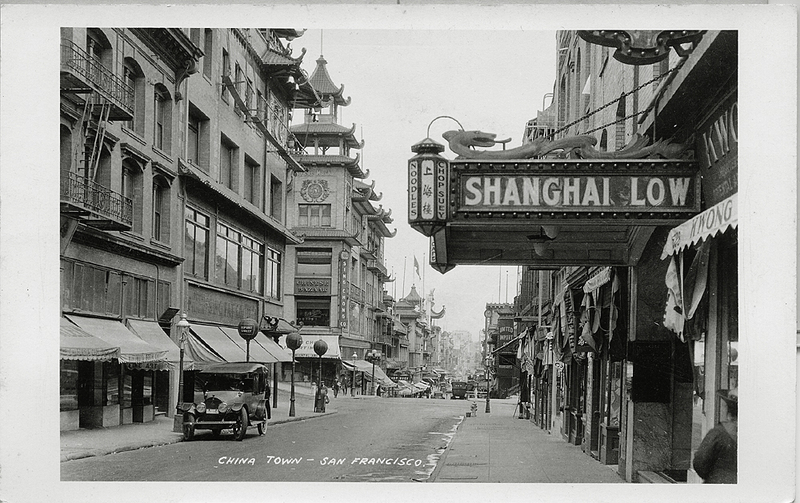 Located at 532 Grant Avenue between Pine and California streets, Shanghai Low restaurant dated back to 1913 and made a brief appearance in Orson Welles’ 1947 noir The Lady From Shanghai. 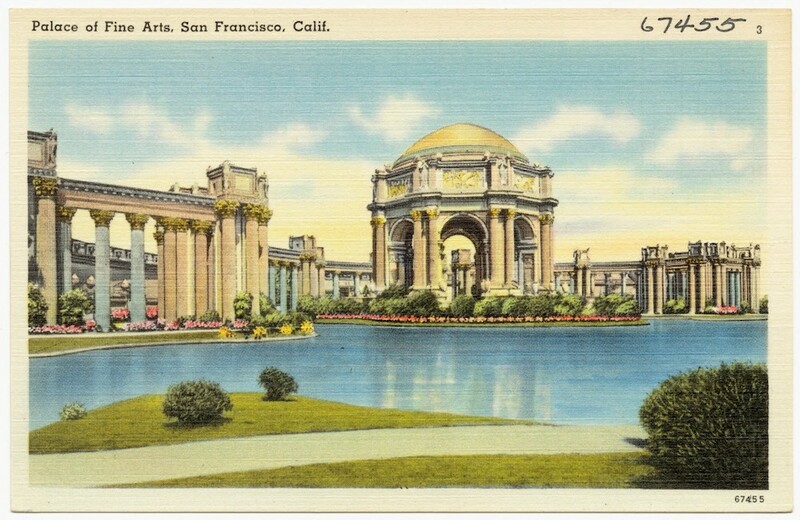 Originally constructed for the 1915 Panama-Pacific Exposition to display art, the palace was rebuilt in 1965 and underwent a seismic retrofit in 2009. One of the few surviving structures from the Exposition, it’s currently a ridiculously popular location for weddings and wedding party photographs. The Exposition theme was “Pageant of the Pacific,” as it displayed the bounty of the nations by the Pacific Ocean. 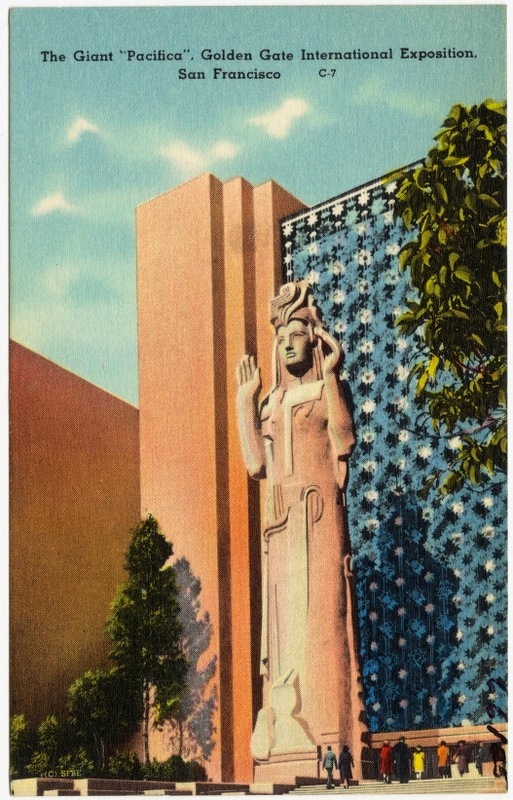 A giant 80-foot statue of Pacifica, goddess of the Pacific Ocean, reinforced the theme. 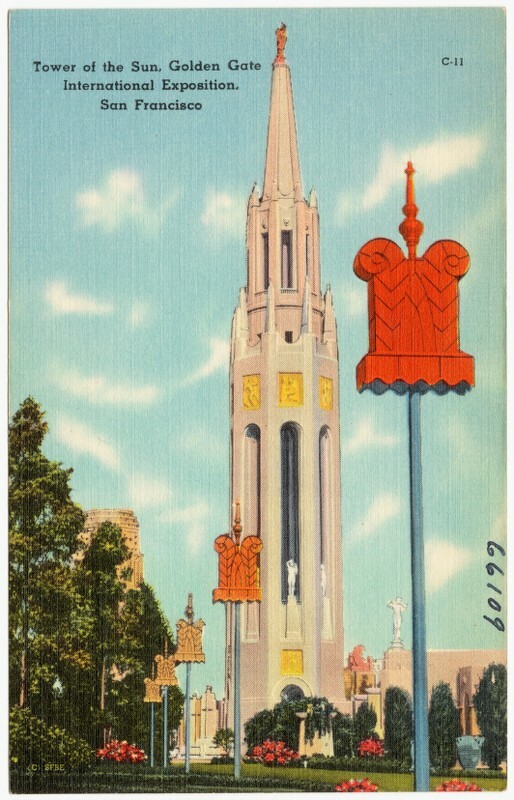 The Tower of the Sun was the crown jewel of the fair, with a slender, 400-foot-tall octagonal spire capped by a statue of a phoenix. Arthur Brown Jr., who also designed City Hall, crafted the tower in the Beaux Arts style. 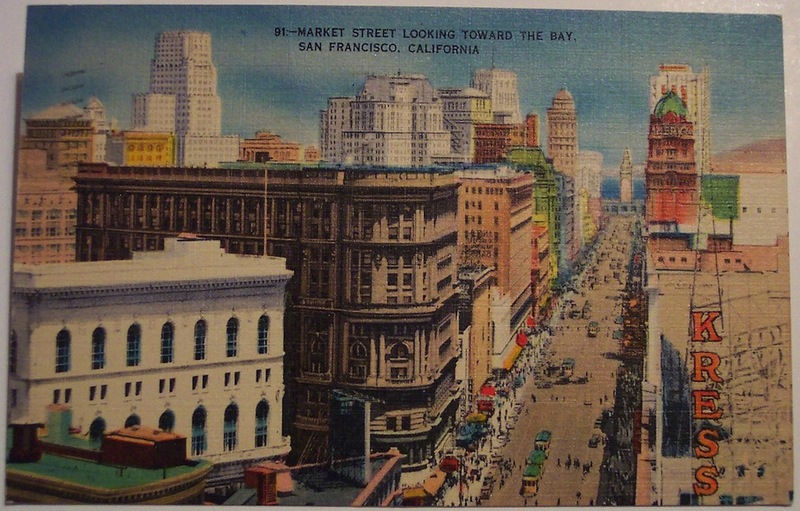 Designed in 1847 by Jasper O’Farrell, San Francisco’s first surveyor, Market Street is a diagonal 120-foot-wide boulevard, unabashedly tilted in a city of streets flowing north-south or east-west. 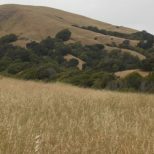 Market also aims straight at the hills of Twin Peaks, which Spanish settlers once called “Los Pechos de la Chola” (The Breasts of the Maiden). 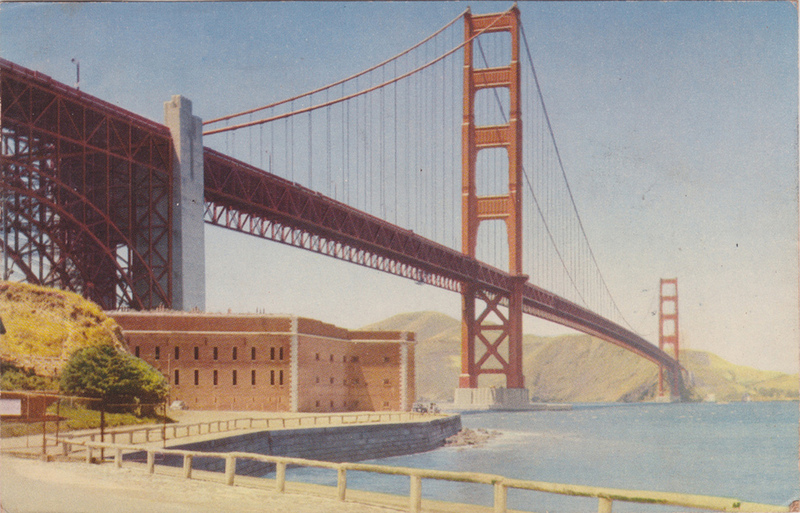 The Golden Gate Bridge has always been painted orange vermilion, or “International Orange.” Consulting Irving Morrow chose the warm color to complement the bridge’s natural settings, emphasizing the cool tones of sky and water. Also, the orange provides better visibility for passing ships; the US Navy originally wanted the span to be coated with black and yellow stripes, so ships could easily steer clear. The Embarcadero is the boulevard leading to the piers and docks of the Port of San Francisco, from Fisherman’s Wharf to China Basin. 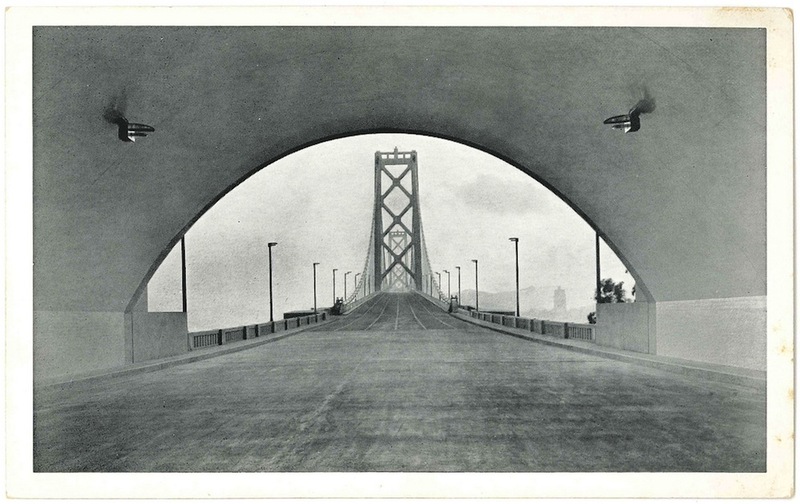 The tunnel portal at the very bottom of the photo was a two-lane underpass on the streetcar loop, built in 1924 and then demolished to make way for the Embarcadero Freeway. 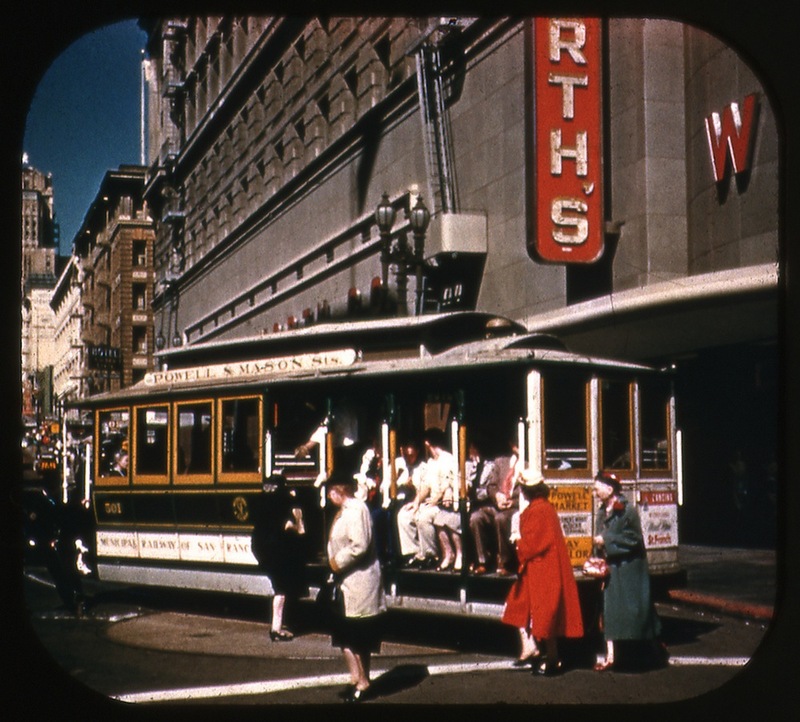 This entry is not a postcard; it’s a reel taken from a vintage View-Master stereoscope (a sightseeing device recently remastered by Mattel and Google). 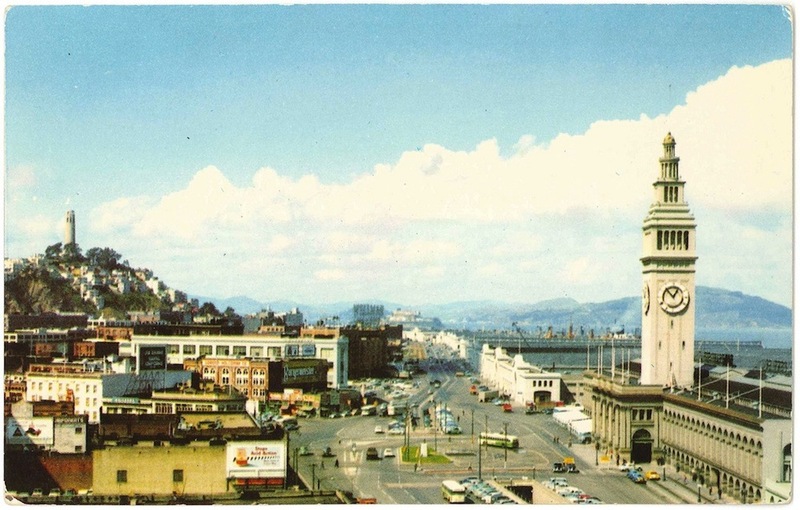 The image shows the cable car turntable at the Powell and Market streets — still the heart of downtown San Francisco today — with Car 501 turning back to Nob Hill. Note the Woolworth’s in the background. 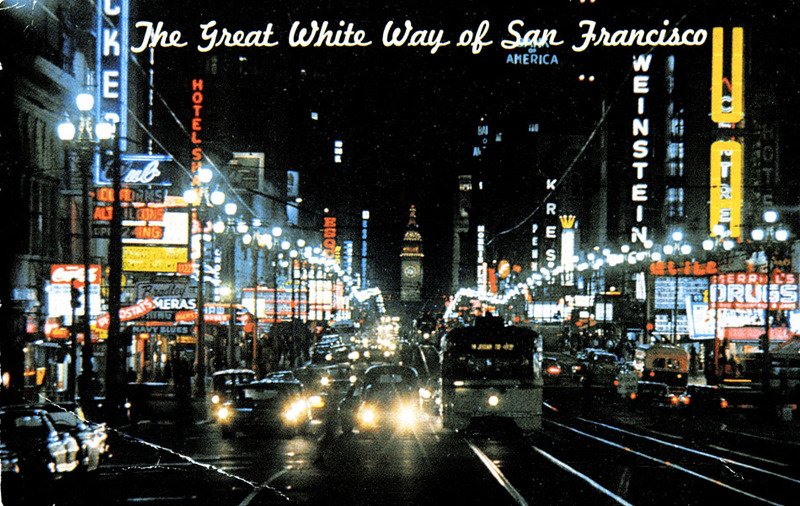 Now, the Mid-Market area is associated with urban blight and Twitter, but it used to bask in the glamor of the cinema; up to about 1966, Market Street between 5th and 8th streets was called “The Great White Way of San Francisco,” because of the constant lights — mostly from movie theaters — illuminating the roadway from dusk to dawn. That cluster of six blocks off Market once held more than 25,000 theater seats, or a quarter of the total seats in the city. 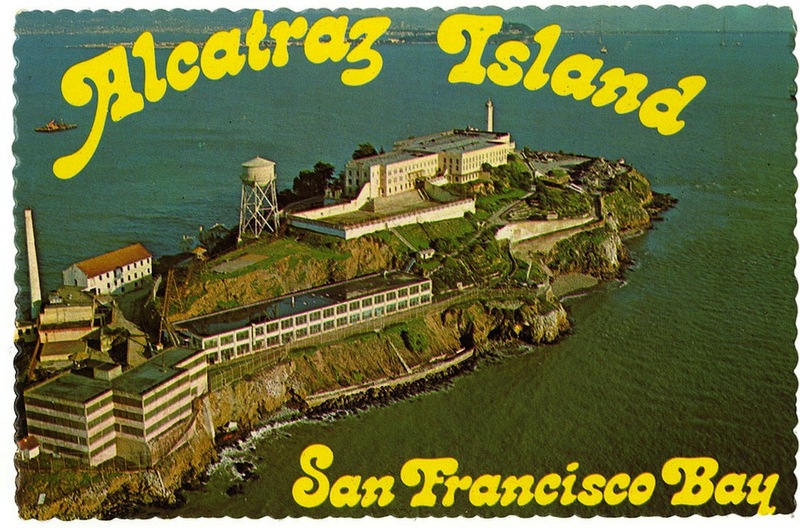 Nicknamed “The Rock,” the island was home to the forbidding Alcatraz Federal Penitentiary from 1934 to 1963. It is also the site of the oldest operating lighthouse on the West Coast. During BART’s first week of service in 1972, it carried about 100,000 passengers; now, more than 400,000 people ride BART daily. 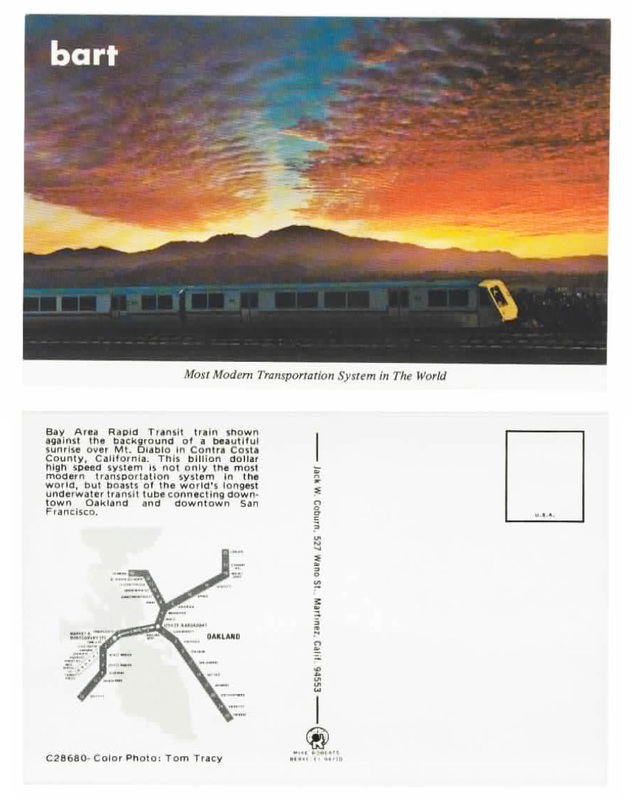 The postcard claims that BART is the “Most Modern Transportation System in the World,” insert retrospective eyerolling here. We just wish that modern vision had included 24/7 service; we’ll let that slide, though, because this photo of BART employees in the 1970s is perfection.